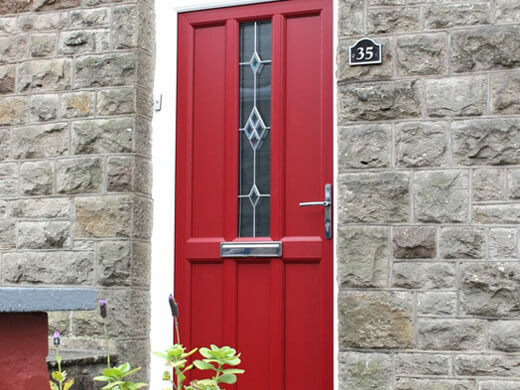 South Wales Windows & Doors have been a leading installer of UPVC doors in Cardiff and the surrounding areas for the past 25 years, thanks to the unrivalled quality of our products and fantastic customer service. 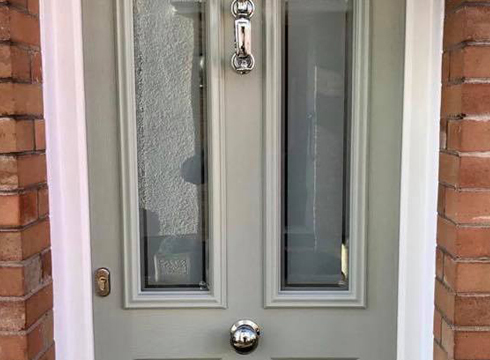 We realise that the right front door can completely transform your property, which is why our UPVC doors are individually made to measure for a perfectly bespoke fit, while also providing the highest level of security and energy efficiency. Why purchase your UPVC Door from us? At South Wales Windows and Doors, we and invested in making sure our customers only receive UPVC doors and products of the highest standard. Regardless of the shape or style of your home, we will be able to offer you the ideal option from our vast selection of UPVC doors, making it easy for you to create the exact entrance you’re looking for. UPVC doors are an attractive, cost effective choice for your home. We have installed our UPVC across South Wales. In this gallery you can see some of the stunning results we have achieved for our clients – contact us if you’re interested in achieving a similar look with our UPVC doors. 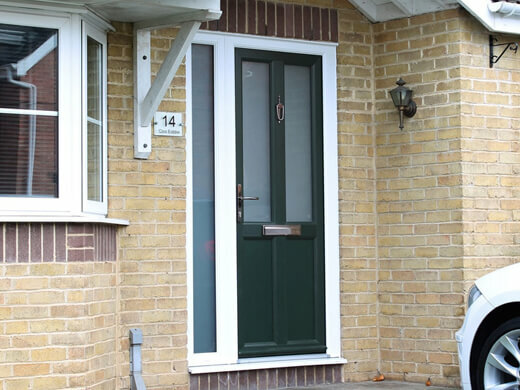 Our UPVC doors are also highly secure, with a multi-point locking system for tamper resistance. This means you can buy our UPVC doors with confidence that you’re improving the safety of your home. 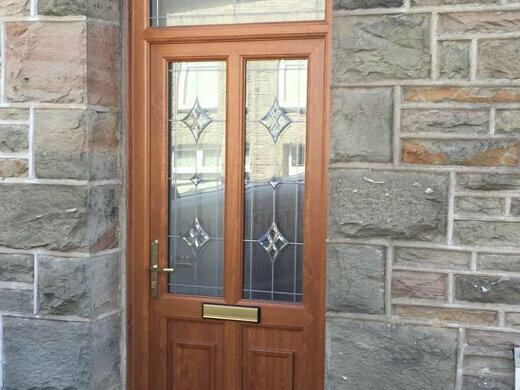 There are a wide variety of styles, colours and decorative options available in our UPVC door range, providing you with an impressive amount of choice to satisfy both your visual requirements and budget. We ensure that all of our UPVC doors are built to last, which is why we can confidently offer a ten-year guarantee for our customers. 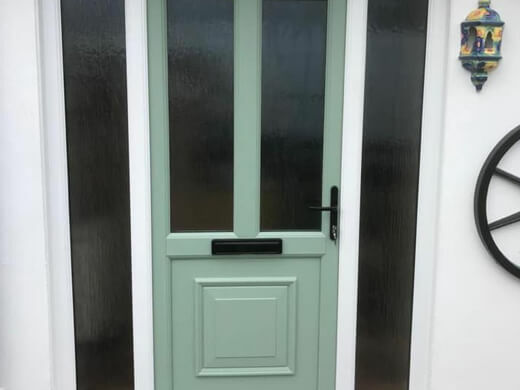 Our UPVC doors are a great low maintenance option, a quick wipe down with some warm soapy water will keep them looking brand new for the foreseeable future. 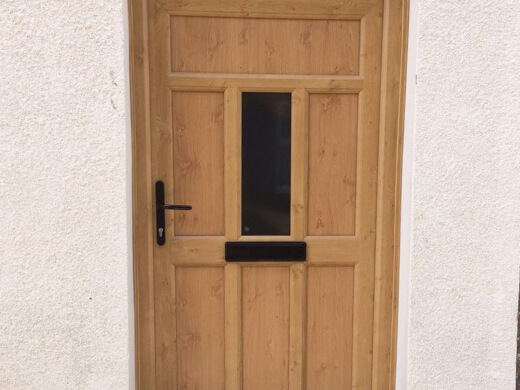 If you would like any further information regarding our UPVC doors in the Cardiff and South Wales area, please fill in our online enquiry form or call us on 02920813488.